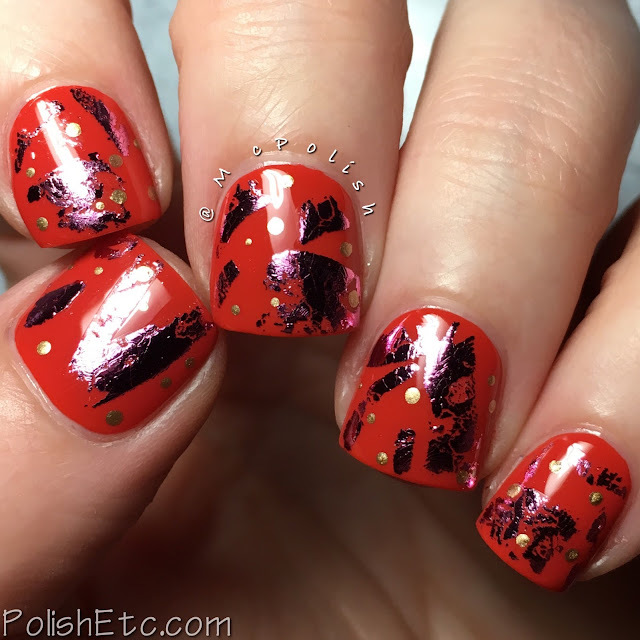 Orange Nails for the #31DC2018Weekly - Polish Etc. Happy Daylight Savings! I, personally, think we should do away with Daylight Savings all together, but I know there are plenty of people that love the longer hours of daylight after work. Since it is sunny for extra long today, how about some orange nails! For the second week of the challenge, we are doing orange nails. Orange is one of my favorite colors. I love wearing it on my nails. This time around, I went for a deeper orange base and paired it with some metallic pink and gold. I started out with a base of P2 Cosmetics "Cheeky Devil" which is a fantastic deep red-orange creme with a super shiny finish. 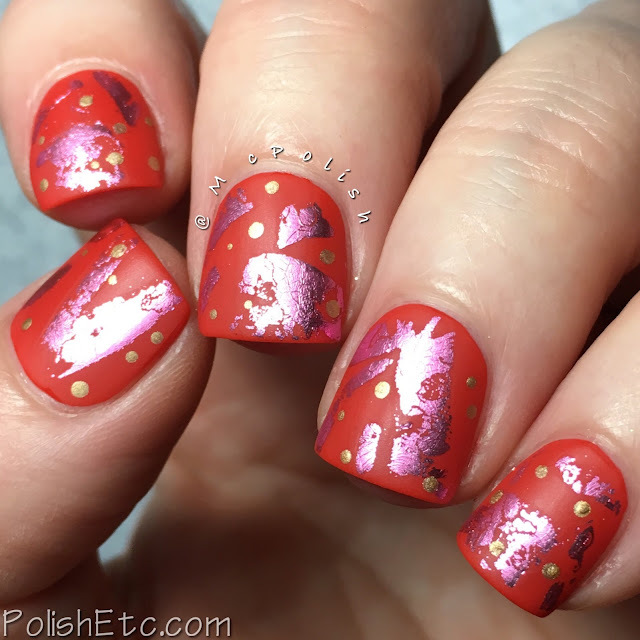 I just love the P2 Volume Gloss polishes. (thanks Lotte for always sending them to me!) I added a glossy top coat to the base so I wouldn't smear the base color with my nail foils. Once that was dry, I applied some nail foil glue in random swipes to all the nails. 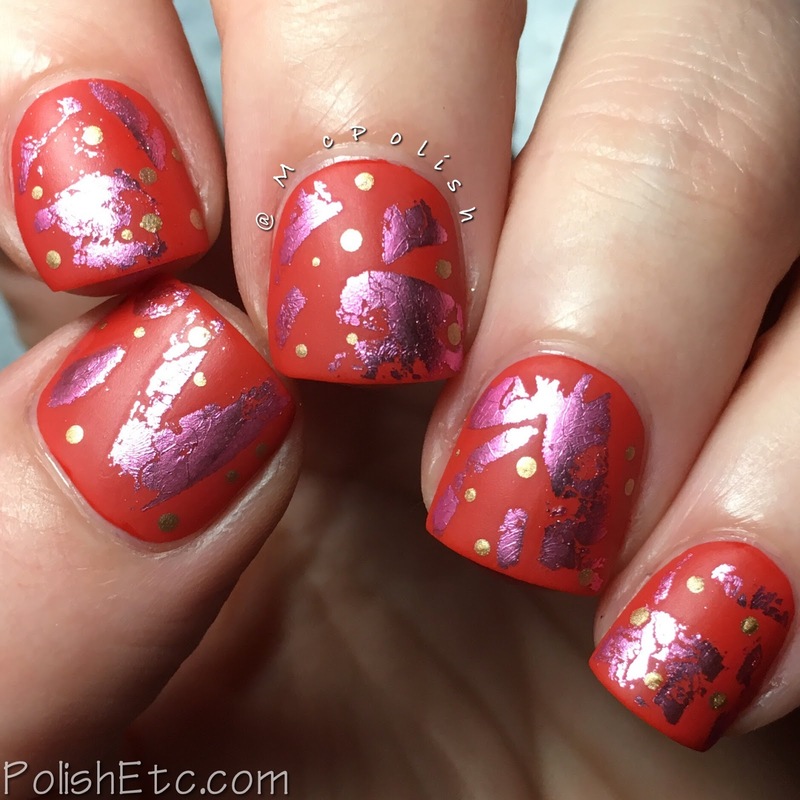 I used a medium pink/purple metallic foil in a kit from Ciate to get the random pink splotches. For a little extra something, I dotted some metallic gold in random spots on all the nails. So...what do you think? Glossy or Matte? Let me know which version is your fave in the comments below. 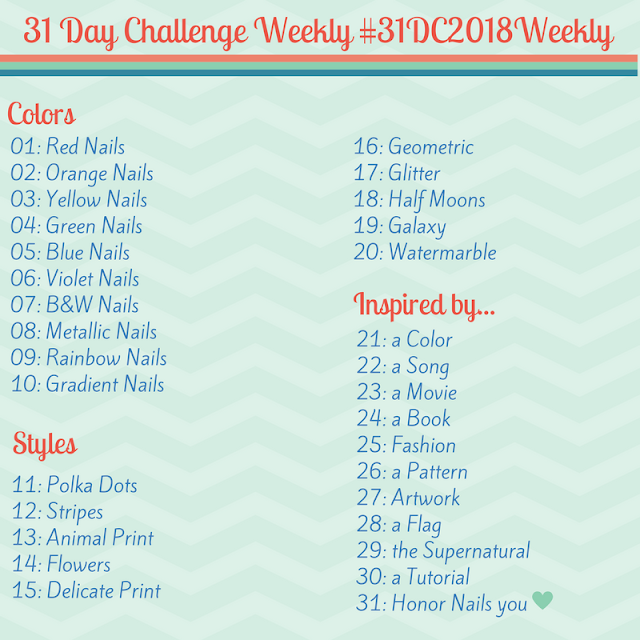 Be sure to keep up with everyone else doing the challenge this year by checking out the tag #31DC2018Weekly on Instagram, Facebook and Twitter. Plus...be sure to check out what my German bestie, Lotte, is creating each week on her blog! We are only on Week 2, so you have plenty of time to join in an catch up with us.